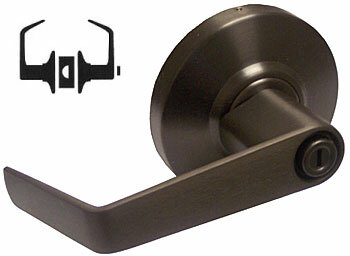 Bath/Bedroom Privacy Lock - Push-button locking. Can be opened from outside with small screwdriver. Turning inside lever or closing door releases button.